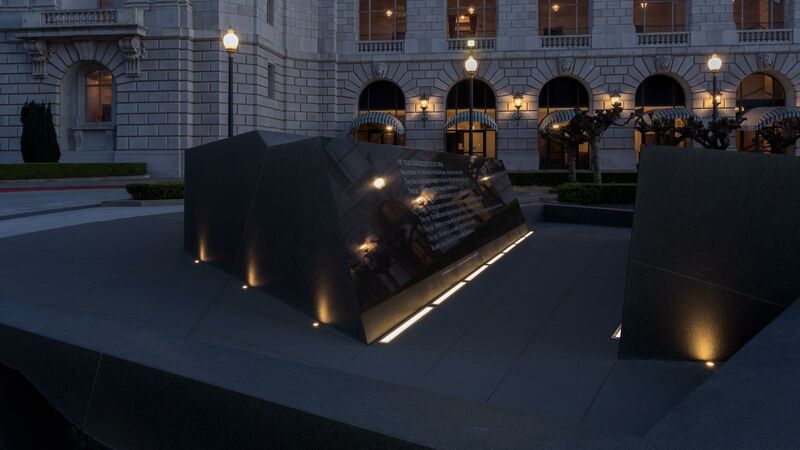 Cut through the center of the monument is a channel with polished basalt sides. We wanted the lighting to disappear into the architecture such that the design statement became about the materiality and the experience was one of private contemplation. Yet, the black, specular material was a unique design challenge, and prompted an extensive mockup and case study process to arrive at a suitable lighting approach.